Added drums for almost the entire album Emperor of Sand. Now I'm working on Once More Around the Sun tracks followed by Call of the Mastodon. Superb work on this project. Updated the master list. 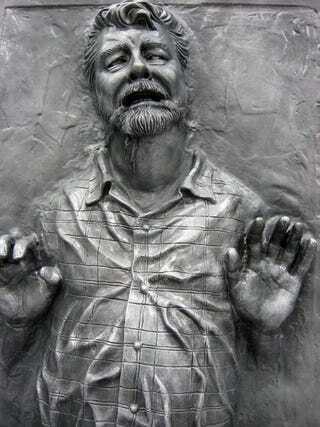 This project is not dead just frozen in carbonite. I've just discovered the world of custom songs after stumbling upon the Mastodon Rock Band channel and I'm in a state of complete bliss! I can't believe you've got damn near the entire Mastodon library already made! Keep up the great work, I'm especially looking forward to Siberian Divide and Dry Bone Valley! CONGRATULATIONS! People will be enjoying these customs for right now, and time to come. Amazing work, and I'm glad I could be a part of it! thanks for all the mastodon work. definitely something that i play quite regularly and enjoy a whole lot! A plead for heavy/technical customs!